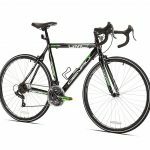 2019 REVIEW: GMC Denali Road Bike - Is It Worth it? Even though this bike has a GMC badge it’s produced by Kent International. 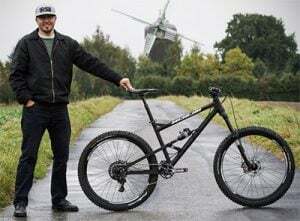 In my opinion, this is a good sign since a company, with many years of experience, is producing the bikes, and it’s not a company that, although they might be very good making cars, are just starting out in the cycling industry. They are a family-owned company dating back to the early 1900s. Kent possesses the licensing rights to 5 external brands, as well as their own. These brands are Jeep, GMC Razor Cadillac and Little Miss Match bicycles. 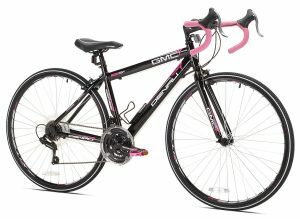 The GMC Denali Road bike is clearly an entry level bike, that is available in 3 sizes (Large, Medium and Small). Many people have commented that they are sized a bit larger than normal, but a sizing chart is available on their website that clears things up. 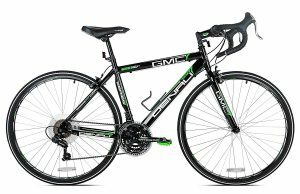 The GMC Denali road bike is built around an aluminum frame and fork. Component-wise it’s pretty much what you would expect for a road bike under $200. Shimano derailleur and shifters are stock on this bike and the brakes are advertised as “alloy calipers” but there are no other markings that can be used to identify them. 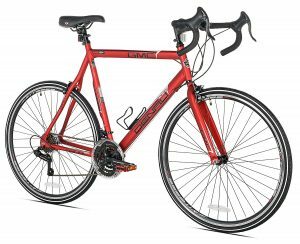 The bike rolls on 700c size wheels, which is great since it’s the most common size and there are plenty replacement tires and tubes available. The alloy rims are what’s known as high-profile, this means that they are taller than regular spoke rims. The added height gives the wheel more stiffness and better aerodynamics. 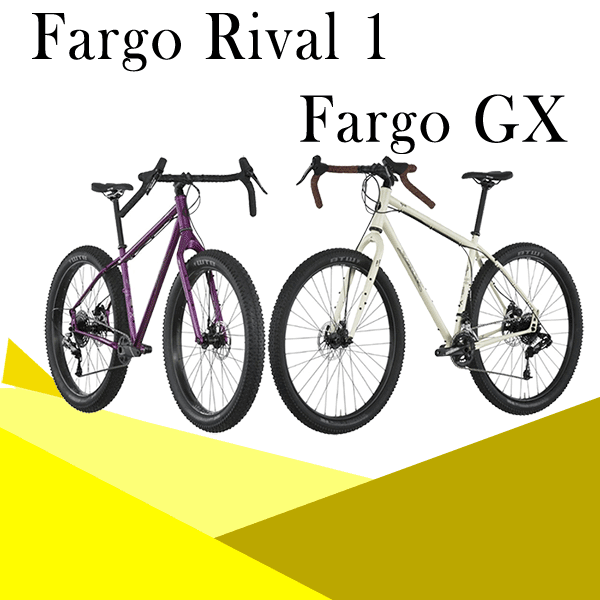 High-profile rims can be considered the middle ground between disk and regular spoke wheels. 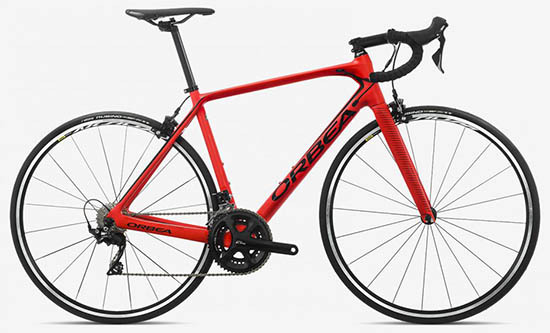 The biggest pro for this bike is its price. It’s one of the cheapest options available. It’s relatively lightweight and strong considering the price point. The different sizes available make it easy to find the right size for you. However, the GMC Denali road bike is not without its cons. The biggest deal for me is the seat, it is stiff and uncomfortable, but this might not be the case for other people. the added kickstand is very flimsy and weak, people have complained that it broke off after a few rides. Also, the brake pads are very stiff and don’t feel very responsive. Most people agree that you need to squeeze the brake levers very hard and it still doesn’t feel like you are slowing down fast enough. One thing to keep in mind is that this bike isn’t completely assembled, and some mechanical skill is required. This isn’t necessarily a con but you might want to factor in the cost of assembly by an experienced mechanic before buying. A proper tune-up and inspection is vital to make this bike function properly. 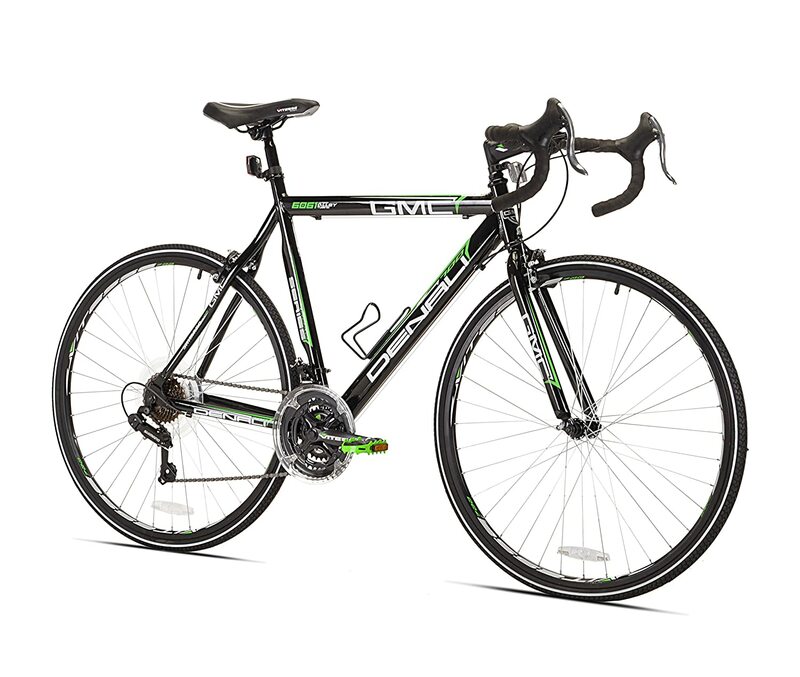 The bottom line is that this GMC Denali road bike is a great deal. This is a bike that costs less than Shimano’s highest end derailleur, and still it performs well enough for most users, especially if you are just starting out It is a good idea to upgrade a few components right out of the gate (seat, pedals, etc.) 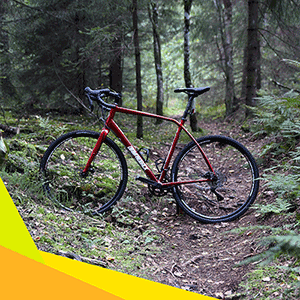 in order to be more comfortable, but even without swapping out parts it’s a great bike for a new or recreational rider. However, if you plan on taking road cycling seriously it might be a better idea to save up a bit more and buy a higher end product. But for entry-level riders, this Denali is just great! Hey! My name is Jeff! I ride simply because I love to. There is nothing about cycling that I don’t like! I sometimes take part in group-rides and compete in races. 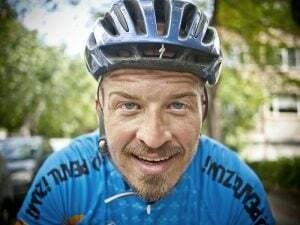 I also work with other riders, teaching them how to get better on trickier, technical trails.